Kim Webb has been employed by Brammer & Yeend, PC since March of 1998. She has worked in the field of accounting for 23 years. Kim is a Certified QuickBooks ProAdvisor and specializes in assisting businesses with purchasing, customizing and installing their QuickBooks software. She also provides training and support in this area. 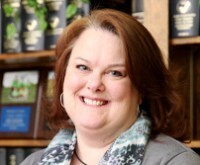 When not working with QuickBooks clients, Kim assists in the Payroll Processing Department. Kim grew up in Shelbyville, graduating from Shelbyville High School. She then attended Lake City Community College in Florida. She has two sons, Kerry and Conner, and a daughter in law, Marj. Kim is the accountant and a member of the Fountaintown Christian Church where she also serves on the Finance committee, as well as the Worship team. She enjoys cooking, reading, watching movies and spending time with family.